Spin Fiesta Casino found the best-looking and highest-paying slot machines in the industry and decided to offer bonus spins on them to all their new players. 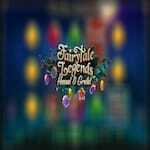 When you create an account at this online casino, you instantly receive 10 No Deposit Free Spins on Fairytale Legends: Hansel & Gretel. You have to use the code TALE10 when you register and the spins are yours to use. Your first deposit is rewarded with 25 more spins on Panda Pow. You will receive this if you use the COOL25 promo code. 50 additional spins await for you on your second deposit. 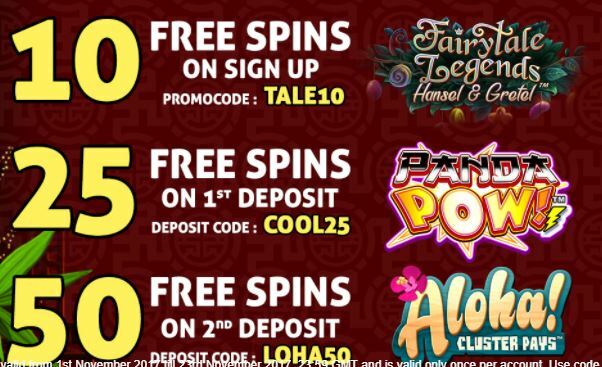 Use the LOHA50 code and enjoy your spins on Aloha! Cluster Pays slot machine. The winnings you make using your no deposit bonus will be awarded to you when you finish playing all the spins in the package. These initial winnings cannot exceed £20. Use the spins within 7 days and win more than ever!